A stunning poetry debut: this meditation on the black female figure throughout time introduces us to a brave and penetrating new voice. Robin Coste Lewis's electrifying collection is a triptych that begins and ends with lyric poems considering the roles desire and race play in the construction of the self. The central panel is the title poem, "Voyage of the Sable Venus," a riveting narrative made up entirely of titles of artworks from ancient times to the present - titles that feature or in some way comment on the black female figure in Western art. Bracketed by Lewis's autobiographical poems, "Voyage" is a tender and shocking study of the fragmentary mysteries of stereotype, as it juxtaposes our names for things with what we actually see and know. 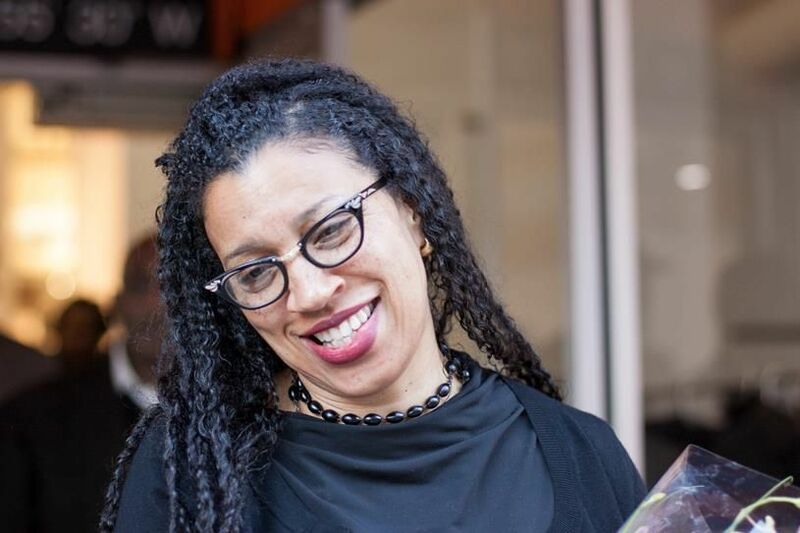 Robin Coste Lewis is the author of Voyage of the Sable Venus (2015) , a finalist for the National Book Award. Her work has appeared in various journals and anthologies, including The Massachusetts Review, Callaloo, The Harvard Gay & Lesbian Review, Transition, and VIDA. Lewis earned her BA from Hampshire College, her MFA from NYU's Creative Writing Program, and an MTS degree in Sanskrit and comparative religious literature from Harvard Divinity School. A Cave Canem fellow, a Los Angeles Institute of the Humanities fellow, Lewis was also awarded a Provost's fellowship in the Creative Writing & Literature PhD Program at USC. Other fellowships and awards include the Caldera Foundation, the Ragdale Foundation, the Headlands Center for the Arts, and the Summer Literary Seminars in Kenya. She was a finalist for the International War Poetry Prize, the National Rita Dove Prize, and semi-finalist for the "Discovery"/Boston Review Prize and the Crab Orchard Series Open Poetry Prize. Lewis has taught at Wheaton College, Hunter College, Hampshire College and the NYU Low-Residency MFA in Paris. Born in Compton, California, her family is from New Orleans.